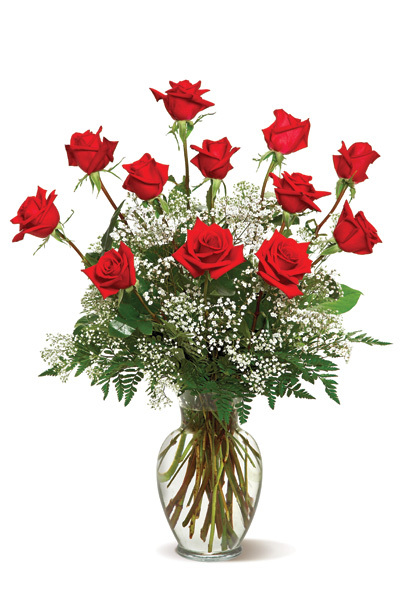 For the perfect, traditional Valentine's Day bouquet or for a birthday, anniversary or other special day this bouquet of a dozen red roses adorned with a classic mix of white baby's breath and ferns is a classic gift of love. Send it today, and she'll love you forever. Available in many colors.